The scanning tunneling microscope is an amazing tool because of its atomic-scale spatial resolution. This can be combined with the use of low temperatures, culminating in precise atom manipulation and spectroscopy with microvolt energy resolution. In this talk we will apply these techniques to the investigation of the quantum spin properties of magnetic atoms sitting on thin insulating films. We will start our exploration with the understanding of the quantum spin states (also called the magnetic states) of these adsorbates. To measure these states, we combined scanning tunneling with x-ray absorption spectroscopy and found amazing agreement of those vastly different techniques (Science 2014, PRL 2015). Next, we will investigate the lifetimes of excited states. Surprisingly, we find lifetimes that vary from nanoseconds to hours, a truly amazing consequence of the quantum states of different adsorbates. Finally, we will explore the superposition of quantum states which is inherent to spin resonance techniques. 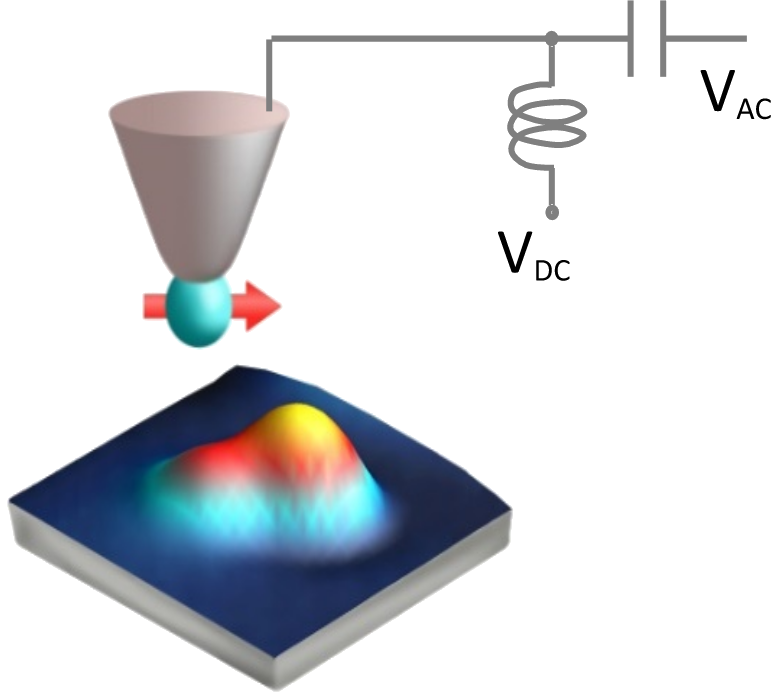 We recently demonstrated the use of electron spin resonance on single Fe atoms on MgO (Science 2015). This technique combines the power of STM of atomic-scale spectroscopy with the unprecedented energy resolution of spin resonance techniques, which is about 10,000 times better than normal spectroscopy. Fig. 1. STM image of two Ti atoms on thin MgO film. Superimposed is a model of a spin-polarized STM tip. of the Institute for Basic Science (IBS) in January 2017.